TNI Bureau: Even as by-poll dates to this assembly segment are yet to be announced, the Odisha Government has decided in principle to grant NAC (Notified Area Council) status to Bijepur in Bargarh. In addition, a Sub-Registrar office will also open in Bijepur. Bijepur has become a prestige battle for both BJD and BJP. 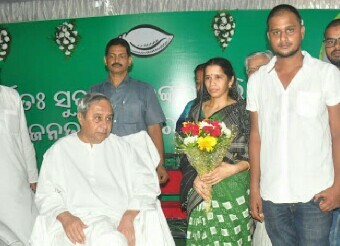 While late Congress leader Subal Sahu’s wife Rita Sahu will be the official candidate of BJD, Ashok Panigrahy, who recently quit BJD to join BJP, could be her rival. Recently, CM had announced Rs 1,200 cr Lift Canal System for Bijepur and adjoining areas.